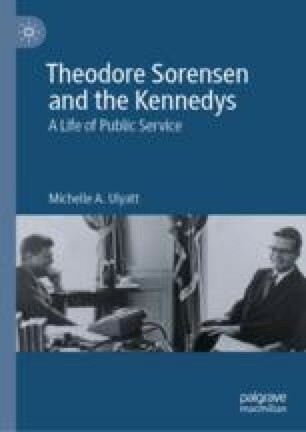 The book closes with an examination of Theodore Sorensen’s impact and his importance as a public servant. This chapter reviews the extent to which he lived up to the ideals that informed his political philosophy and the example set by other great national servants. It also assesses his contribution to American political discourse over his sixty-year career, concluding that Sorensen deserves to be acknowledged as exactly the kind of honest, inspiring, selfless and public-spirited national servant that he believed America’s past generations of great public servants to be.